Click on the image to explore an interactive map of tribal casinos in the Phoenix area. GLENDALE – Leaders of the Tohono O’odham Nation and this West Valley city broke ground Thursday on a $400 million casino resort that has been the subject of lawsuits and legislation to block it. 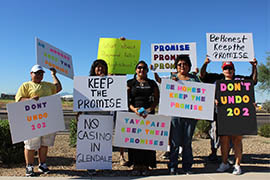 Leaders of the Tohono O'odham Nation and Glendale once fought bitterly over the tribe's proposed casino in the West Valley. But both sides were all smiles when they gathered to break ground for the project. Cronkite News reporter Yahaira Jacquez tells us why. 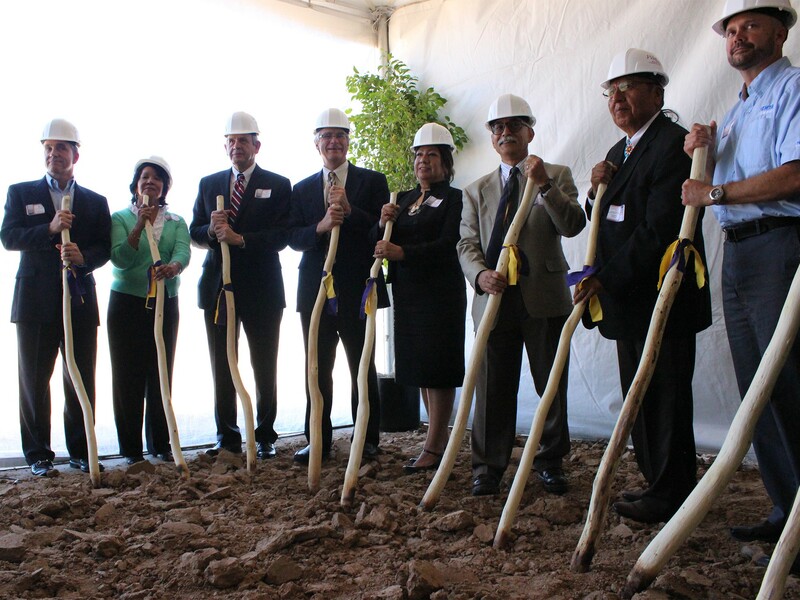 Representatives of the Tohono O'odham Nation, Glendale and other entities broke ground Friday on the site of a $400 million casino resort in the West Valley. 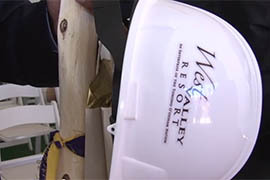 Demonstrators from the Fort McDowell Yavapai Nation said the casino violates an agreement among tribes and the gaming compact approved by Arizona voters.